We have a range of Burns Kits that have been created based on statutory requirements. 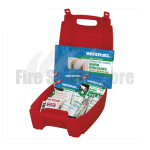 Available is the Astroplast Burns Kit which is essential for burns, scalds and sunburn. 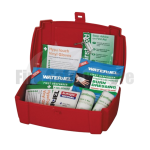 Also available are our Burn First Aid Kits that are fully compliant BS products which come in a variety of sizes with different quantities and products decided on this basis. 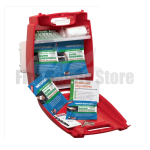 The Burns First Aid Kits are available in 3 sizes - small, medium and large and contain everything you would need to provide effective treatment of burn injuries and is recommended for purchase alongside the Statutory First Aid Kits. The kits are universal and are suitable for all workplaces and home environments. They come in a durable plastic shell that protects the components until such a time when use is required. For a full listing of contents - simply click on the relevant picture. You will find there is a list of products attached to each item so you wouldn't need to open the contents of the box unnecessarily.